Microsoft exposed the Start Menu appearance of Windows 8. The menu bar combines Microsoft’s new official “Metro” design, this design is first used for Windows phone. View from the exposed information, Windows 8 Start Menu use text and graphics, and only four selections: Settings, Devices, Share and Search. 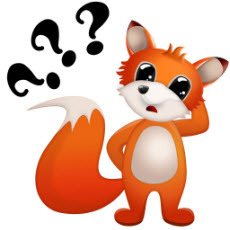 Although the icon of the Start Menu is different from Windows 7 Start Menu, but we can not make sure this is the standard Windows 8 Start Menu, or a custom Windows 8 Start Menu. Microsoft spokesman said that the Start Menu eventually will be replaced by Start Screen UI, and showed the VHD features of this interface in a simple video. The new Start Screen display its powerful computing capacity. Microsoft said they will make real-time upgrades for the new interface , enabling the users to obtain faster applications and better page conversion. The tile of the new interface is as same as Windows Phone 7 tile, is square, and is Metro color design. Microsoft BUILD conference will be held in September this year, will open the Windows8 details. And now Microsoft has released some design details of its” Building Windows 8″, Without doubt, this is to make the news focus for the new system. Why conversion speed so slow? As a movie fan, i have a lot of different format videos. But, for watching movies anywhere, i have to convert such videos for my tablet. So many videos need to be processed, so i care more about the conversion speed. The video quality is best not too bad. I use Pavtube DVD Ripper to deal with my DVD movies and Pavtube video converter to handle common videos, such as MKV HD movies, VOB videos, Camera AVCHD or MTS/M2TS files etc. These tools all support NVIDIA CUDA technology. According to my own experience, i find some factors affecting the conversion speed. Once, i use my old computer which has worked for 5 years to convert a DVD, it took about 5 hours for a 2-hour movie, it really bothered me. But the same movie converted on my laptop (i choose the same output) just took one hour. I analyzed the reasons. The laptop’s configuration is much higher than my old computer. It is noteworthy that the laptop use NVIDIA Graphics while the pc doesn’t. Computer configuration: the processor, the graphics card. The faster the processor, the faster the conversion speed. If your video tool supports CUDA technology, a CUDA-enabled graphics card would be of benefit for the conversion. For iPad users, watching movies is a great enjoyment. Local videos or online videos playback on iPad is all pretty good viewing experience. 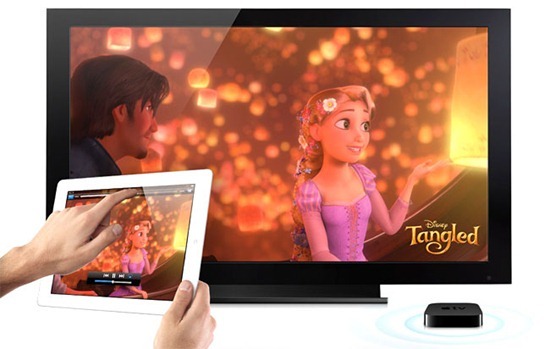 Today this article will show you how to stream movies and other content stored on iPad to big screen ( HDTV etc ). In addition to stream iPad movies to big screen, we can also put PPT, iPad games, Photos etc onto the big screen. Some cable is necessary. These cables are supplied by Apple. Unfortunately, they are not free. But, to get the effect of Home Theater, the cost is worth it. OK, now just follow me to realize it. Posted in Apple -	Tagged connecting iPad iPad 2 to Big screen, HD enjoyment, Necessary cable, stream iPad movies to big screen, stream movies and other content stored on iPad to HDTV. Though we are looking forward to the official announcement of the next iPhone, there is still no any information from Apple. Everything about iPhone 5 is just rumors. But, these rumors should have some basis in fact. Today this article just lists some, Believe it or not. Concord Securities analyst Ming-Chi Kuo predicts that the device will get an A5 processor and a much-improved 8-megapixel rear camera. If this is true, iPhone 5 maybe the first smartphone with A5 processor. 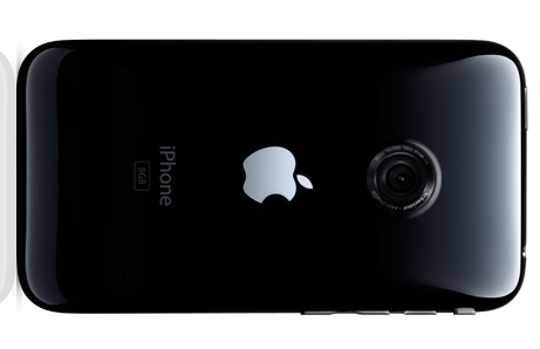 DigiTimes suggests that the iPhone 5 will have a curved glass screen like the Samsung Nexus S’ “Contour” design. DigiTimes also says that Apple has bought 200 or 300 glass-cutting machines to be used by glassmakers. Till now, i can’t image the appearence of the iPhone 5, that equipped with a curved display. Perhaps it is to subvert our imagination. Maybe you have many mkv files, they might be ripped from blu-ray discs or downloaded from online video websites. If you once tried to copy them to Eee Pad Slider, you would find some MKVs playback on Slider with problems. No audio or no video, even can’t be read. Why does this happen? MKV is a container format, we recognize it because of its high-definition effect and multi subtitle and track. It’s so complex that no media player can play all the mkv videos. ASUS Slider is no exception. For these MKV videos that can’t be supported well by Eee Pad Slider, the best solution is changing such mkv videos. Make sure an application for video converting installed on your computer. If you are a beginner, you can try Pavtube video converter, the installation is rather simple and won’t take much time. it’s also very easy to use. Now, i just take this tool as an example to show you the detail steps. Sony has officially announced its tablet information, Sony announced the tablet had been known as Sony S1 will appear on the market in September, the official name of product is Sony S. Sony S has a 9.4 inch (1280×768 resolution) screen, 5-megapixel rear camera and 3-megapixel front camera, equipped with Android 3.1 system, and Sony emphasized the tablet will be able to upgrade to Ice Cream Sandwich operating system which Google will release in future. Sony S tablet with a very exaggerated flow line design, this advantage is even if only with one hand, users can also be very comfortable predict with confidence this tablet, more importantly, this tablet will be able to run Sony’s PlayStation games, which means this will be the first tablet compete with iPad in the quantity and quality of the games. According to media reports, a HP 7-inch tablet landed Federal Communications Commission (FCC) Web site for the record, which is code-named Opal. This tablet has a 7-inch screen with 1024×768 resolution, supply 16GB and 32GB versions, are expected to cooperate with AT & T for sale. HP said it would stop manufacturing WebOS hardware devices before, but did not say out of the tablet market. HP PSG executive vice president, recently said in an interview, the outside world for the misunderstanding HP Tablet PC business, HP does not want to quit this business, but to stop the WebOS tablet business, which suggests that HP may introduce the tablet with other operating system. If you’re one of the thousands who snapped up the HP TouchPad during its brief $99 liquidation sale (or one of the unfortunate hundreds that paid full price), I’ve got some good news and some bad news. First, the bad news. If the tablet market were a horse race, you just bet on a steed that’s been carted off to the glue factory. Abandon any expectations of software updates, or of exciting games and apps filtering their way into the WebOS store. What you see now is what you’re stuck with. The good news is that there’s plenty the TouchPad can do for you, even if the device has no future. In fact, there are a few roles that a $99 tablet can fill better than an iPad. So if you’re sitting there in your TouchPad liquidation hangover, wondering what to do with your new tablet, here are a few solid ideas. The TouchPad can take up permanent residence on your sofa or coffee table. 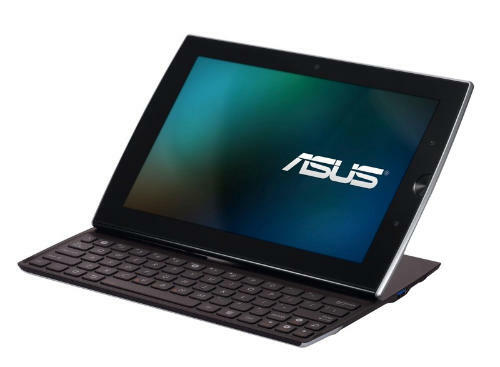 The ASUS Slider is a 10.1-inch tablet with a capacitive touchscreen and a physical keyboard that slides out from behind the display panel, this design style is very Nifty. Its big and high definition screen is really suitable for viewing HD movies. You may want to put your favourite Blu-ray movies on this wonderful tablet for playing anywhere, Today this article will help you to realize it. A third party software is necessary. Pavtube Blu-ray Ripper is just a right one. As far as i know, most HD movies are stored on Blu-ray or DVD discs. If you are a moviegoer, you may have many Blu-ray and DVD discs. This tool can help you handle all of them. It supplys a wide range of output video formats, so you can convert Blu-ray/DVD movies to any portable device you have. 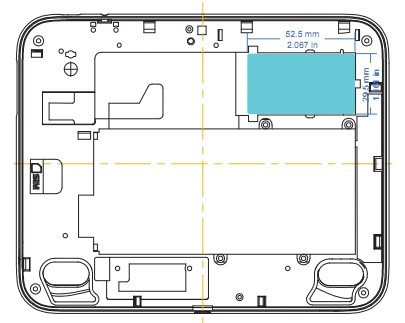 Of course, ASUS Eee Pad Slider included. This perfect Blu-ray to Eee Pad Slider converter is easy to use, even you are the first time to decrypt Blu-ray or DVD discs. You can operate it successfully. Now, just follow me to realize watching Blu-ray movies on Eee Pad Slider. 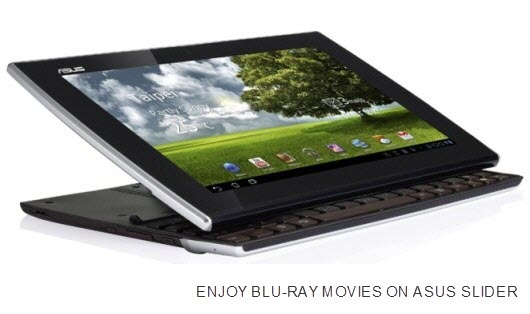 ASUS Eee Pad Slider has a hidden keyboard that’s revealed when you slide the screen back. This is different from Transformer. While the Slider and Transformer use the same technology: both have 10.1-inch touchscreens and run Google Android 3.0 on ARM-based Nvidia Tegra 2 chips, have HDMI output, 1.2 Mega-pixel Front camera, 5 Mega-pixel Rear camera. Other features are almost the same. For most people, watching movies is the first choice to kill time, Eee Pad slider give us more entertainment. It supports 1080p video playback and with a 1280*800 resolution screen. So the video effect will rather pretty. Based on its small size, we can take it anywhere. This article will share you how to convert DVDs for Eee Pad Slider playpack. Below is all the information you need to play movies on Eee Pad Slider.